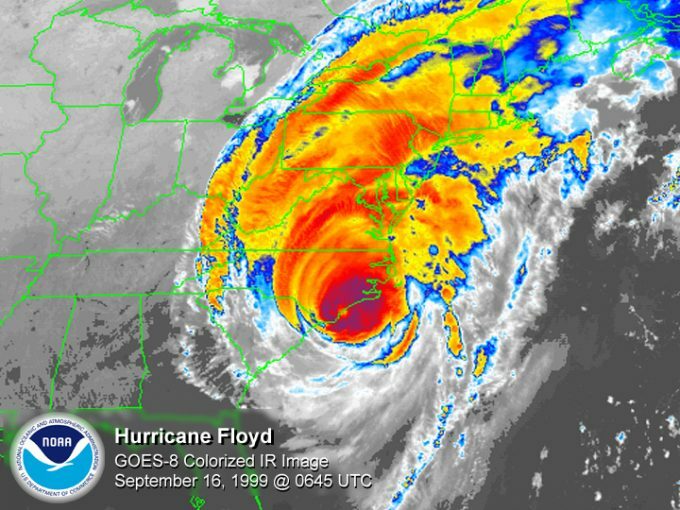 The Windstorm Insurance Network, Inc. (WIND) was officially incorporated the same day Hurricane Floyd hit the North Carolina coast: September 16, 1999. It was a fitting start date for an educational association created for property and windstorm insurance claims industry professionals. WIND is the only member association to bring together both defense and policyholder professionals together to connect, engage, and learn about important topics in the property/windstorm insurance claims industry. “The idea for WIND was born out of a casual conversation with our firm’s managing partner, Rick Boehm,” says Janet L. Brown, partner of Boehm Brown Harwood, P.A, an Orlando-based insurance defense firm. “Rick was curious as to why we were constantly sending our attorneys out of state for conferences on property issues and catastrophic losses. He inquired why we didn’t have something similar in Florida,” recalls Janet. “Finally, he asked me to explore the idea for an association focused on training and educating property insurance claims professionals. The goal was to be balanced with participation from both the insurance industry and policyholder sides,” says Janet. WIND’s targeted group included professionals involved in adjusting, sales, marketing, and underwriting of property/windstorm insurance coverage, as well other related professions involved with property/windstorm insurance claims issues. As the concept of WIND emerged, an idea developed to organize an educational conference to review and discuss property/windstorm insurance industry topics. Realizing the undertaking would require time, money, and more importantly, instant recognition, Janet Brown approached her contacts at the Florida Windstorm Underwriting Association (FWUA). “We decided a co-sponsor was needed to quickly launch the WIND idea in the insurance industry. Even if FWUA could only lend us their name, we felt we would instantly have clout,” says Janet. After many meetings in the summer of 1999 with FWUA upper management’s Rebecca Fussell, Bill Schmitz, Bob Tice, and Dave Hisey, the WIND conference was approved. With FWUA’s “named backing,” the Boehm Brown firm lent both its time and finances to plan and bankroll WIND in its first six months. “Once FWUA was on board, we had very little time to plan and promote the conference,” recalls Janet. The short lead time didn’t deter the group; in just 90 days, Janet and her committee emerged with a full conference agenda. The inaugural Windstorm Insurance Conference was held on February 16 – 18, 2000 at the Renaissance Airport Hotel in Orlando and was co-sponsored by FWUA. Nearly 400 insurance professionals attended the three-day conference offering a lineup of keynote speakers, professional development workshops, continuing education credits, evening receptions, a vendor trade show, and a golf tournament. It was evident that Boehm Brown’s idea had struck a chord in the industry. The registration numbers demonstrated a need to address property/windstorm insurance claims issues from various industry perspectives. In February 2000, the WIND’s inaugural board of directors was selected from leaders from the insurer, accounting, adjusting, agency, engineering, legal, reinsurance, residual market, government, and scientific communities. In addition, the inaugural membership grew to 200 industry professionals from across Florida and neighboring southeastern states. In 2001, attendance at the WIND conference nearly doubled, with more than 650 professionals convening for the three-day event. Famed hurricane researcher Dr. Bill Gray kicked off the conference as keynote speaker. Attendance and recognition continued to grow, and by its 10-year anniversary, the WIND annual conference drew a record crowd of 1,500 attendees from 35 states and Canada. In 2016, more than 1,000+ attendees convened in Orlando for the three-day event. In 2003, Janet recognized the need for a compilation of umpires in property insurance appraisal matters. Soon after, the first annual WIND Umpire Directory was introduced to the property/windstorm insurance claims industry, followed by the inaugural WIND Certified Umpire class at the 2004 WIND Conference. The WIND Certified Umpire Class is mandatory for WIND Certified Umpires, and it has been attended by hundreds of professionals since its first class in 2003. A WIND Umpire Recertification class was rolled out in 2007, and in 2012, the WIND Certified Appraiser was added to the line-up of WIND Certifications. In 2009 – 2014, WIND Regional Symposiums were hosted throughout the Gulf Coast and Atlantic Coast States. The first WIND Regional Conference in Houston was planned in just less than 90 days, and it was a sold out success. The Weather Channel’s Jim Cantore served as the keynote speaker. In 2014, WIND introduced the WIND Professional Designation Program, a two-tier credential process for property/windstorm insurance claims professionals. The program recognizes industry individuals who demonstrate professionalism and technical knowledge in the field of property and windstorm insurance claims. The Windstorm Insurance Network Professional (WIND-P) and Windstorm Insurance Network Fellow (WIND-F) designations recognize individuals who show a dedication to ongoing education in their respective professional concentrations. Today, WIND proudly boasts a sizeable membership from across the nation and an impressive group of officers, board members, and past presidents. The annual Windstorm Insurance Conference attracts 1,000+ attendees on average from across the United States, Canada, and Great Britain for three days of professional development and networking opportunities. As WIND is soon to celebrate its 20th anniversary, long-range planning goals have been put in place to ensure that WIND continues as the premier educational association for property/windstorm insurance claims professionals representing both the insurance industry and policyholders. Connect. Learn. Engage with WIND. Visit us at windnetwork.com and learn more about our membership, credential programs and annual conference. Questions? We can be reached at info@windnetwork.com or 850.473.0601. We look forward to connecting with you soon!